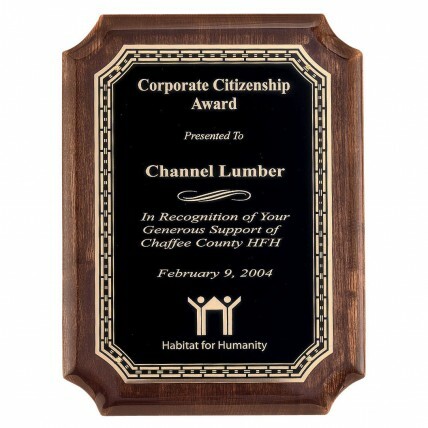 The Intricate Gold Border Walnut Plaque makes a perfect recognition for any dedicated worker! 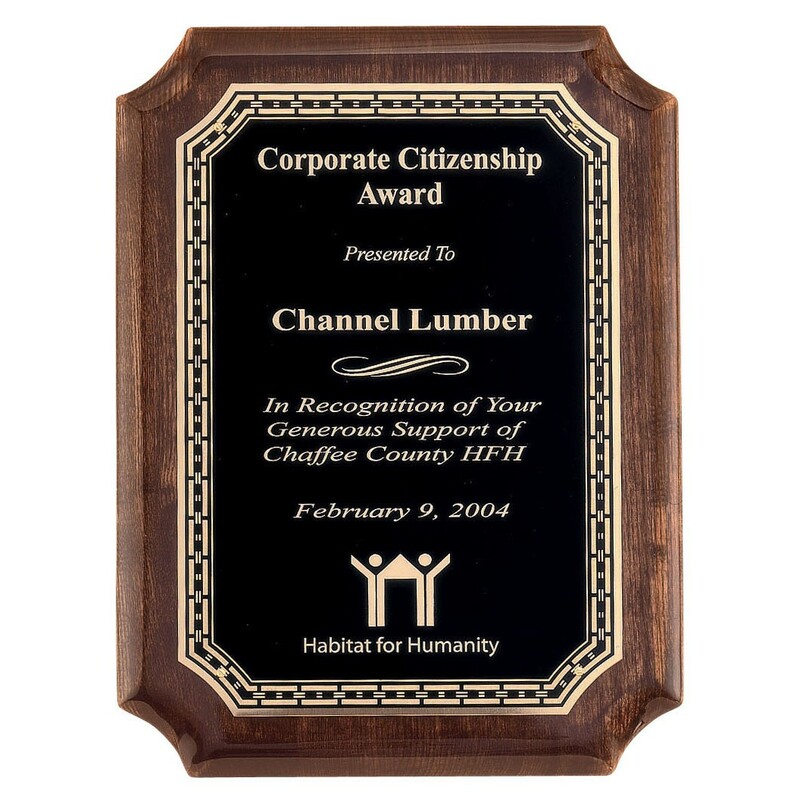 This elegant plaque is made of solid walnut with notched and beveled corners and a heavy lacquer finish . A black brass plate with beautiful gold detail borders features 12 lines of your customized engraving, including business logo. This plaque is available in 4 sizes: 7x9, 8x10, 9x12, and 11x15. 7x9: 9", 8x10.5: 10.5", 9x12: 12", 11x15: 15"
7x9: 5.25x7.25", 8x10.5: 6"x8.5", 9x12:7"x 10", 11x15: 9"x13"